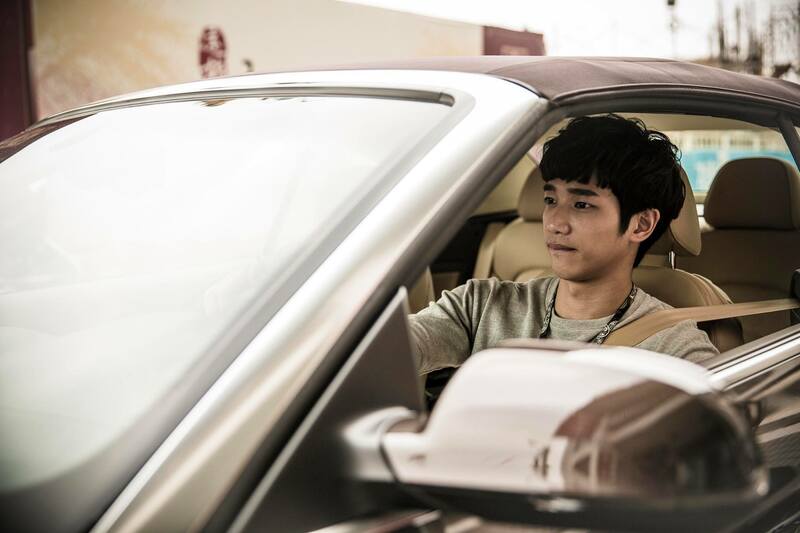 There’s more good news for the fans of Jasper Liu (Pleasantly Surprised). Aside from landing another lead role in a new drama, My Ghost Friend (我的鬼基友), two of his films are about to hit the big screen. The comedic mystery movie, Live @ Love (活路: 妒忌私家偵探社) which he plays as Cheryl Yang’s (Tie The Knot) assistant and the movie about billiard competition, Second Chance (逆轉勝) which he plays as Huang Pei-Jia’s (Bao Mi Qia Qia) love interest. These two movies have long finished their filming last year but only get to see the light this year after a long period of post-production, which explains why Jasper is still sporting his broccoli hair for Second Chance and a different looking style of bangs for Live @ Love. 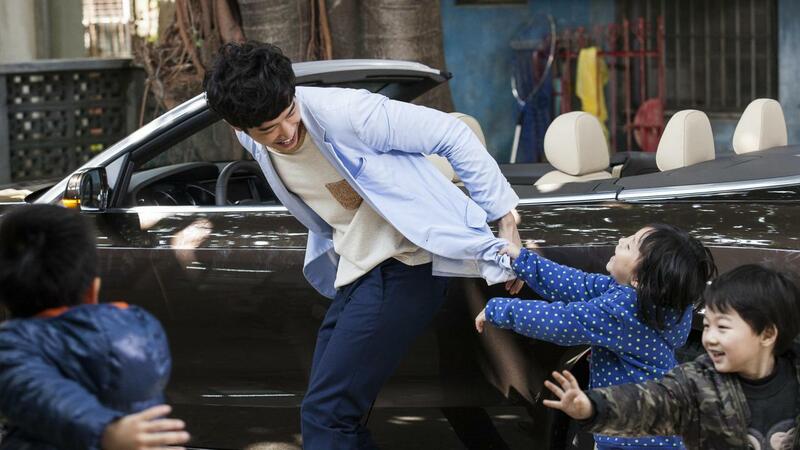 2014 has been a good year for Jasper Liu, he gained public recognition through SETTV hit drama Pleasantly Surprised (喜歡. 一個人) and then, followed by the consecutive release of the movies he participated, lead role in Live @ Love and supporting role in Second Chance. He also have another steamy romantic-comedy film with Vivian Hsu (Love Strategy), 72 Hours (72小時莎到你) which has finished filming long time ago but have yet to hit the screen so I’m guessing we’ll get to see it either the end of this year or somewhere next year. 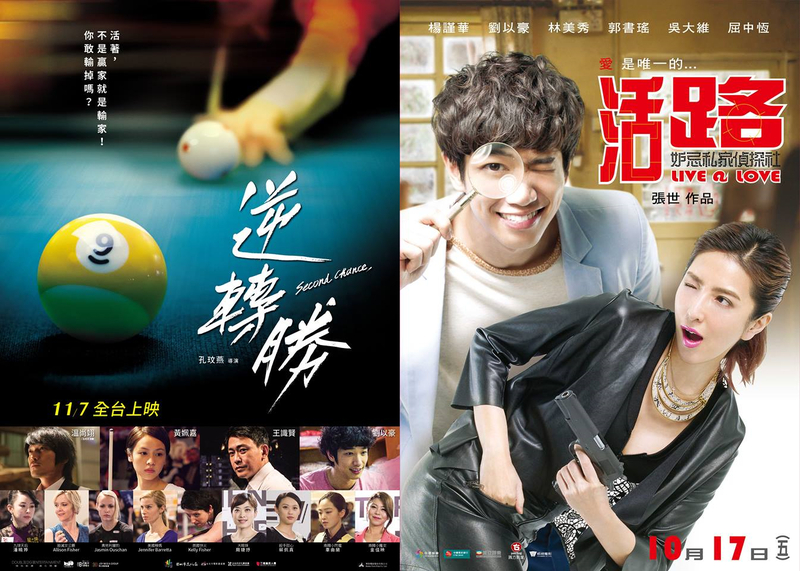 Out of the two movies, Second Chance grabs more of my attention as veteran actor, Jason Wang (An Innocent Mistake) is acting as the main antagonist and Guai Shou of the famous Taiwanese rock band Mayday (五月天) makes his debut as an actor by playing a jaded billiard pool player. Huang Pei-Jia is also an uprising rookie movie actress that I’ve been keeping my eye on, she showed her potential in Bao Mi Qia Qia (寶米恰恰) where she played as twin sisters. 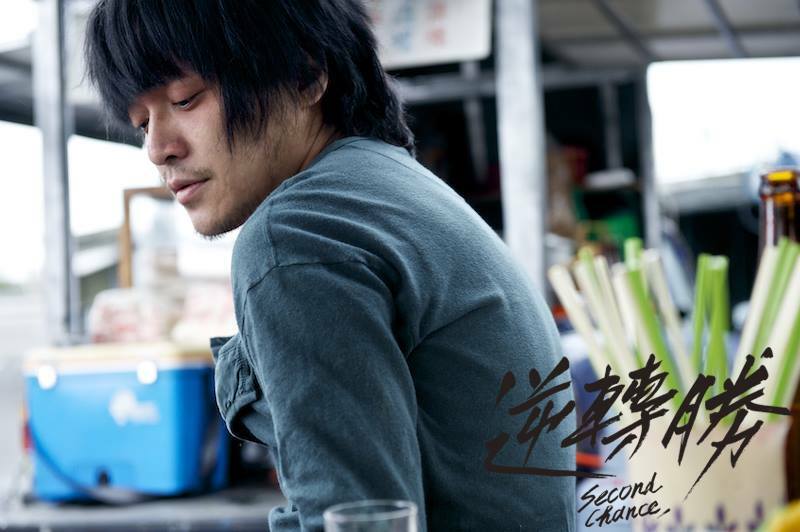 Second Chance tells the bonding story of an orphaned, mature high school girl (Huang Pei-Jia) with her estranged, irresponsible drunkard uncle (Guai Shou) who was once the world’s champion in billiard competition. The girl has to win back her house and billiard hall which she inherited from her parents but lost them due to the debts owed to the mafia (Jason Wang plays as the leader of the gang). With the support of her friend (Jasper Liu) who has harbored a long-time crush on her and the training from her uncle, she strives to win in the billiard competition for money to retrieve back her properties. I gotta say the plot of Second Chance sounds super promising and the trailer is very moving. On the other hand, Live @ Love had such cheap-looking posters that I almost lose all of my interest in the movie. The trailer of Live @ Love looks interesting but I feel the editing is very choppy. It shows the lack of taste and experience in the production team. As a debut directorial work of veteran actor, Zhang Shi (Justice for Love), I sincerely hope it will achieve good results. Live @ Love revolves around a strange detective agency run by Cheryl Yang and to survive the bad business, the agency also offers tarot-card readings. 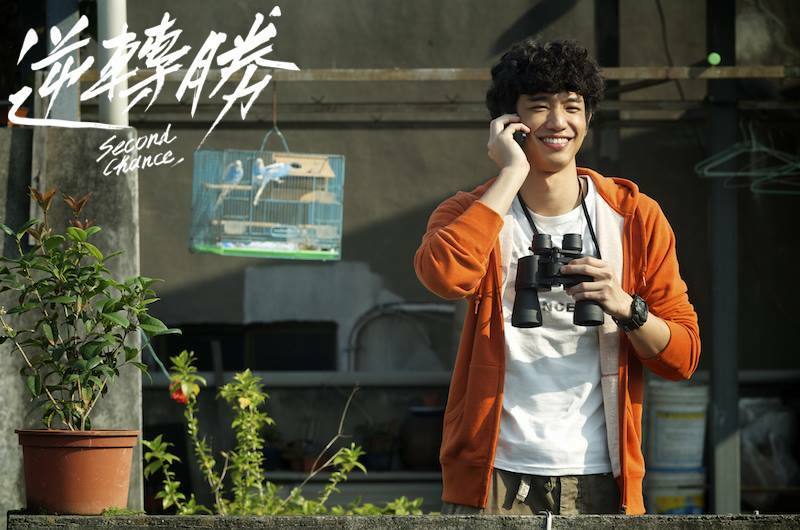 Jasper Liu plays as a son of a rich businessman who just returned from overseas, he decided to apply as Cheryl Yang’s assistant as he’s a big fan of Sherlock Holmes and detective books. 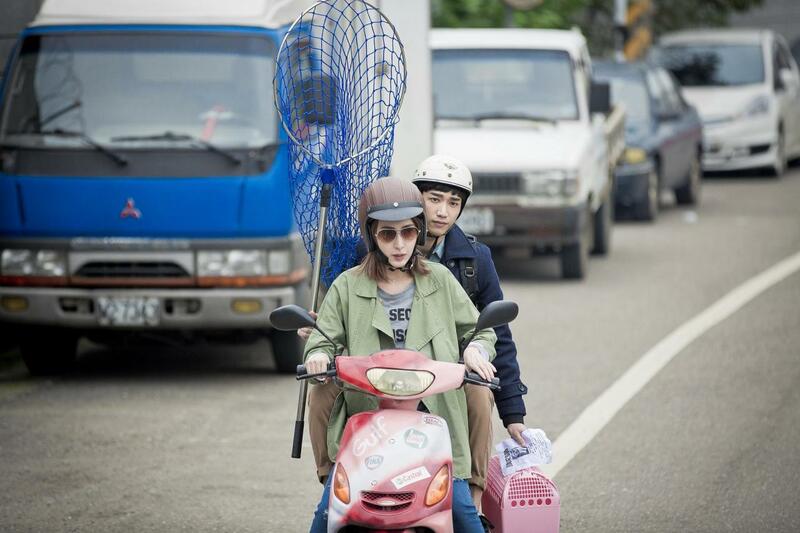 Together, they investigate on a recent murder case of Lin Mei Xiu (In Time With You), a rich Madam. 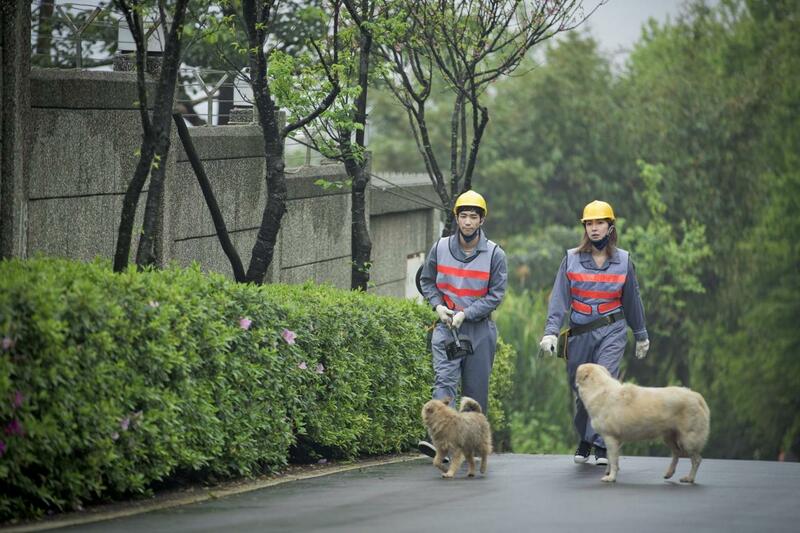 The suspects are her husband (David Wu), her husband’s mistresses (Yao Yao and Winnie Chang), and her flamboyant ex-husband (Feng Guang-Rong). Jasper have worked before with Huang Pei-Jia and Cheryl Yang as Huang Pei-Jia made a cameo in Amour et Pâtisserie (沒有名字的甜點店) and he made a cameo before in Cheryl Yang’s drama, Once Upon a Love (原來愛·就是甜蜜) so I think there’ll be no problems with their chemistry. 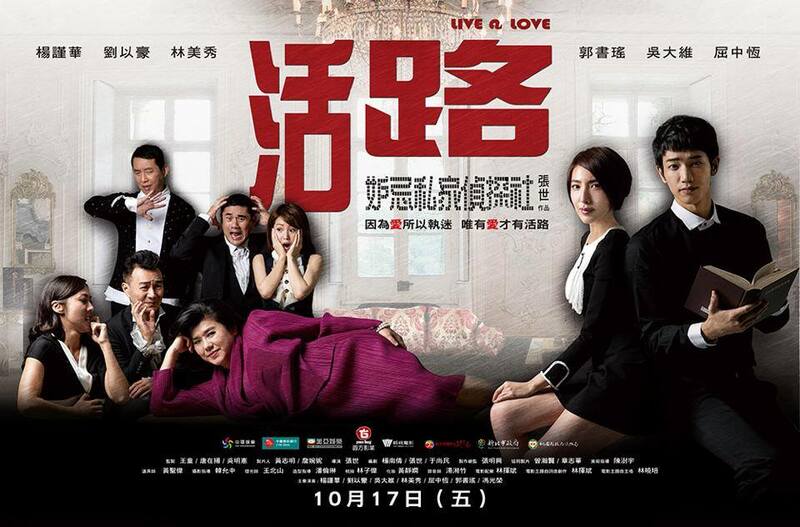 Live @ Love hit the theaters on 17th of October and Second Chance will release in November 7th. I’ll be marking my calendar. 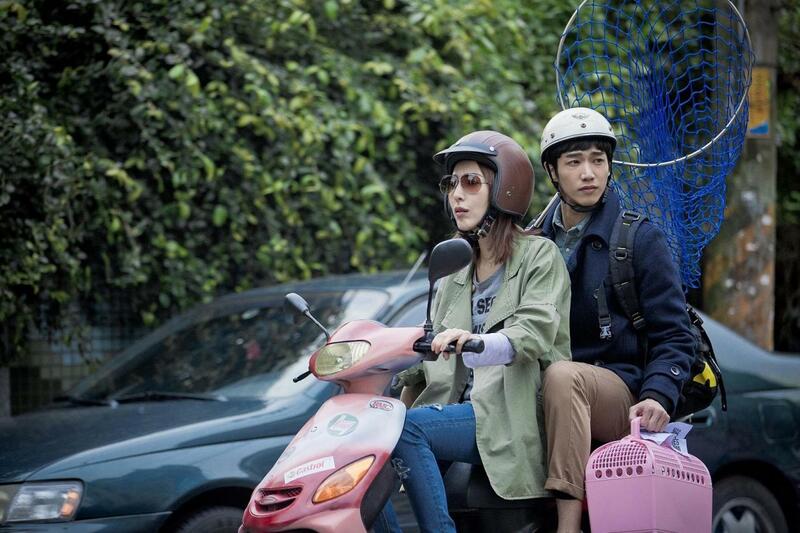 Tags: Cheryl Yang, guai shou, huang pei jia, jason wang, jasper liu, lin mei xiu, movie, zhang shi. Bookmark the permalink. I think they’ll be most likely to hit the theaters in Singapore since Cheryl Yang and Guai Shou are pretty famous but the release date is still unknown. Ahhh, how exciting! So much Jasper to come in the near future! Looking forward to all the films 🙂 Thanks for the news!